The Jockey Club sent shockwaves through British racing on Tuesday with plans to close Kempton Park, home of the King George VI Chase and the stage for some of the greatest names in jump racing history. The plans include the creation of a new floodlit all-weather racecourse at Newmarket and “major investment” at Sandown Park, which will become the new home for the King George, but leading jumps trainer Nicky Henderson reacted with horror to the prospect of Kempton’s closure. Henderson, three-times champion trainer and twice successful in the King George with Long Run, said the idea of jump racing “without a track like Kempton scares me to death” and called on "defenders of National Hunt racing" to fight to save the venue. The Jockey Club said it will make a £500 million investment in the sport over the next decade and has set in progress proposals for Kempton to be redeveloped for housing. The group, which has paired up with builders Redrow as their development partner, made the move following Spelthorne Borough Council's recent 'Call For Sites' to address unmet local housing needs. The Jockey Club said it would hope to put in a planning application within the next two years. At least £100m would need to be raised from the building of up to 3,000 homes for the plan to go ahead. Racing would continue at Kempton, first opened in 1878, until at least 2021. The plan also depends on the new all-weather track being operational before any changes could happen at Kempton. The King George at Kempton is second only to the Cheltenham Gold Cup in prestige among British Grade 1 chases but Jockey Club group chief executive Simon Bazalgette said the body believed its plans were in the best interests of British racing. He understood, however, that it would be an unpopular move. "It's certainly been difficult to make the decision to submit Kempton for future redevelopment," he said. "The members of the Jockey Club's board of stewards are horsemen and they are unanimously of the view that British racing's long-term interests are best served by the unique package we are outlining today in line with our Royal Charter." Bazalgette denied the Jockey Club was bulldozing its heritage with the decision to close Kempton. "We are about maintaining racing's heritage and making sure it is in the most healthy position it can be for the future," he said. "That doesn't necessarily mean keeping everything the same as it has always been because that way is just general erosion and the potential death of the sport. "You have got to keep the thing alive and keep investing as anybody owning a portfolio of assets in any business would do. In racing you need to keep investing in those and keep refreshing it and that doesn't mean always keeping it the same." Senior steward Roger Weatherby supported Bazalgette's comments. He said: "We must show leadership with the assets we have and, where merited, take tough decisions to help our sport to keep moving forwards." 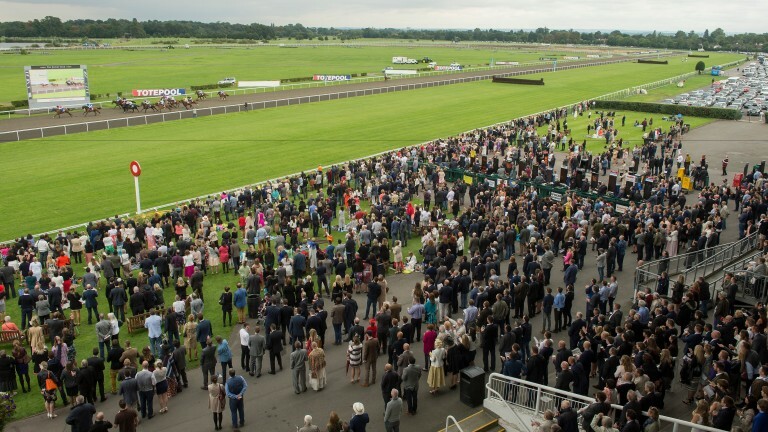 The Jockey Club seems set to face strong local opposition to its plans for Kempton, with Spelthorne Borough Council leader Ian Harvey opposed to house building on the racecourse. “I am fully aware of the views of local residents and have consistently made clear my strong opposition to development of this site and my determination to protect the green belt in Spelthorne," said Harvey. Bazalgette said the Jockey Club could not use other assets to help finance its plans. "We're not sitting on a huge goldmine," he said. "We have got £115m of debt already, which is very significant for a business like ours. "The idea that we are incredibly wealthy sitting on this pot of funds that we can deploy as we wish is not true." Bazalgette said the remaining money would come from being "commercially successful and making sure we are generating enough profits to invest back into the sport". While some of Kempton's jumps meetings would be transferred to other Jockey Club courses around Britain a "select" amount, including the King George, would go to Sandown, which Bazalgette described as a "sleeping giant". "Another of the key reasons for looking at this opportunity to redevelop Kempton Park is because of our aspirations at Sandown Park," he said. "We want to realise the huge potential we see there. Sandown is a fantastic viewing track with a great atmosphere but now we need to transform its facilities and take it to the next level including increasing its capacity and pushing for growth in its attendances. "It's a sleeping giant and we have been carefully investing in its race programme and popularity for it to be ready for its next step." Kempton's Flat races would go to a new floodlit all-weather circuit for which a site on The Links separate to Newmarket's two other tracks is the front-runner. Bazalgette said its capacity had not yet been decided but "we are not building a facility for 20-30,000 people there". He added: "The Jockey Club aspires for such a course at Newmarket to become Europe's best all-weather circuit, that's our ambition. "This is about creating an opportunity for horsemen to run their horses and to have good facilities to do that and for the betting industry to main the level of content that they need as well." Bazalgette also promised there was no intention of converting any turf courses to all-weather and said the Jockey Club intended to make a record contribution to prize-money. Responding to the news, BHA chief executive Nick Rust said the governing body acknowledged and understood the reasons behind the Jockey Club's announcement. He added: "The BHA will work with the Jockey Club in the development of their plans, to ensure that the long-term interests of the sport – and its grassroots – are best served in the coming years, with a particular focus on safeguarding the future health of jump racing. "It is early days yet, but should Kempton close, its jump fixtures will remain as jump fixtures." Of the proposals for a new track at Newmarket, Rust said: "The proposed Newmarket all-weather track would need to go through the usual processes for the addition of new racecourses, which includes the submission of an application for approval by the BHA board, and ensuring that the course would meet all the necessary licensing criteria." After Tuesday's news broke, we asked racegoers for their responses. Here's what they said . . . I think Kempton is a cold, horrible, miserable place but I’m amazed at the announcement. I’m a jumping man but races like the King George will be relocated to Sandown and, for me, I won’t lose too much sleep over it. They shut Folkestone for the same reason [housing] and it’s a sign of the times. Look at the greyhound tracks. It's diabolical. I know people laugh at tradition but that tradition is slowly being taken away. I am 68 and I have seen this happen in greyhound racing, it's all gone to pot. It's called moving with the times, and from what I've read Kempton's all-weather course has never been popular with racegoers. It's a pity they didn't decide to do it ten years ago as it would have saved the cost of putting an all-weather course down. Mind you, if you have a horse who wants to go right-handed where will you be able to run it? I am not quite sure how I feel because I understand that we need housing. The Flat turf course has already gone and the all-weather is not everyone's cup of tea. But the King George at Kempton is a tradition and it will be missed. I come to most meetings at Wolverhampton but never on Boxing Day as I stay at home and watch the King George. It won't be the same at Sandown, that is a different course – Kempton is a much quicker track. It’s a prime building site, I’d have thought, and I’m not that disappointed as Kempton is not a place that will draw you in and I’ve always found it a soulless place. Twilight racing is nothing more than betting-shop fodder and it’s the pictures that are keeping it going. I was more disappointed when Folkestone shut, that was a great shame. It’s a good jumps track at Kempton and that’s a shame. I think there’s enough all-weather racing as there is and I'm not sure Newmarket will happen. It is always disappointing when a course closes, I have seen several in my lifetime. I'm not too worried about the all-weather course there as nobody seems to go, but it is one less jumping track and that is a great shame. Financial considerations, I suppose, but I'm not in favour of it.